Hakky Vakschoenmakerij is a traditional shoe-repair store built on craftmanship and quality. Presently the 7th generation of the Bentvelzen family is active in this craft. 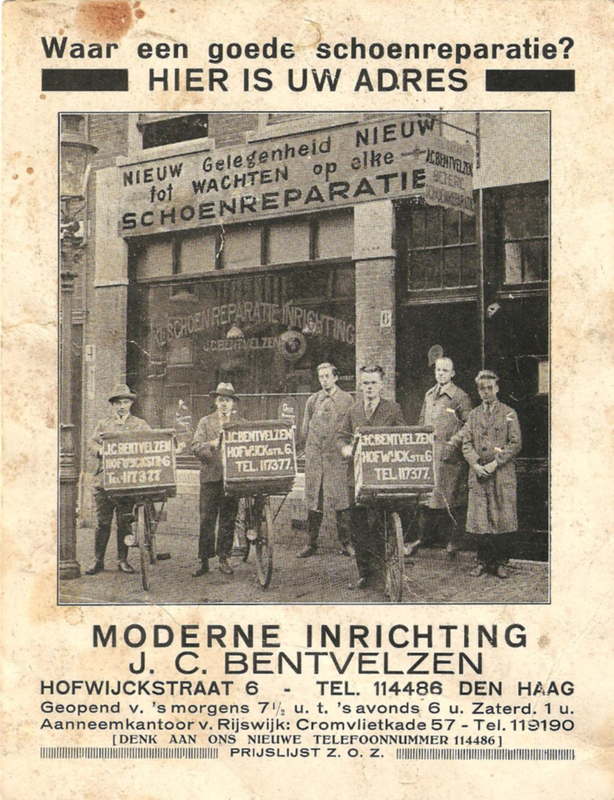 The company started in 1870 in the Schoolstraat in Rijswijk. 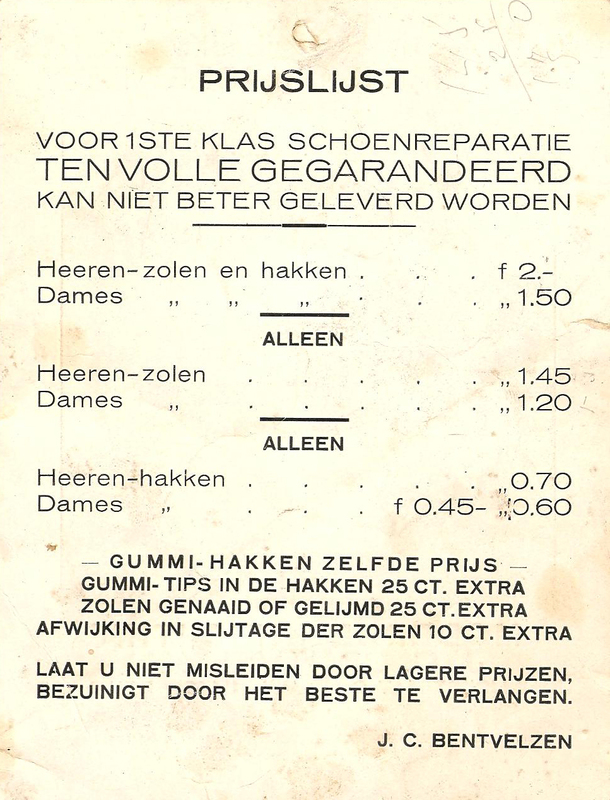 In the years that followed, subsidiaries could be found in the Swammerdamstraat, the Deimanstraat, the Oranjelaan, the Hofwijckstraat, the Witte de Withstraat, the Groenezijde, the Leyweg, the Spuistraat, the Lange Poten and currently in the Wagenstraat, all of which are situated in The Hague. Our qualified staff guarantees first class repair work. Besides repairing shoes, we also cut virtually all keys and hold a large selection of shoe-care products. Please select the buttons at the top of this page to learn more about us and our company. We look forward to welcome you in our store! Sunday 12:00 tot 17:30 hours.